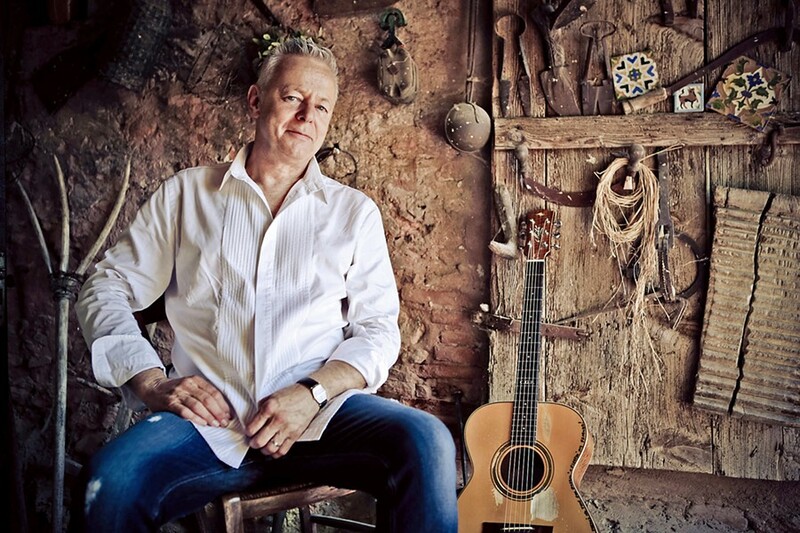 By the time you read this, Tommy Emmanuel's Fremont Theater show next Thursday, Dec. 13, may already be sold out (7:30 p.m.; all ages; $44 and $58 at fremontslo.com). It was pretty close as of Dec. 4. If you do score some of the last remaining tickets, you'll be treated to one of the finest fingerstyle guitar players in the world. MAGIC FINGERS Amazing acoustic guitarist Tommy Emmanuel (pictured) plays the Fremont Theater on Dec. 13, with Jerry Douglas. The Australian received his first guitar as a 4-year-old and learned to play by accompanying his mother's lap steel. As a 6-year-old, he vividly recalled hearing Chet Atkins on the radio, the same age that he began touring Australia with his family's band ... until the New South Wales Department of Education insisted Tommy attend school regularly. In his teens, he won a string of talent contests. By 30, he was playing European stadiums with The Southern Star Band and Dragon. After that, his solo career took off, and by 44, he became one of five people ever named "Certified Guitar Player" (CGP) by his idol, Chet Atkins. "For me, music has always been about collaboration—the push and pull you get from another human being's energy," Emmanuel said on his website. "Even when I play solo, it feels like I'm playing to the emotions I'm getting from the crowd. To feel the love or the joy or the hope coming through these other pickers and singers was electric—I played in ways I never would on my own." Jerry Douglas will join Emmanuel during his Fremont show, and he's touring in support of Heart Songs, his new album with John Knowles, one of the other four CGPs in the world. Trust me—Tommy Emmanuel is astoundingly masterful! Numbskull and Good Medicine Presents have booked another SLO Gathering show hosted by Bear Market Riot and featuring The Cimo Brothers, Arthur Watership, and Miss Leo & Her Bluegrass Boys at The Siren this Friday, Dec. 7 (7:30 p.m.; 21-and-older; $12 presale at Boo Boo's and ticketfly.com, or $15 at the door). LOCALS ONLY Arthur Watership is one of four local acts playing The Siren for the next SLO Gathering show on Dec. 7. If I remember correctly, the last SLO Gathering show was at the Fremont Theater with Moonshiner Collective. These showcases are a ton of fun and feature local acts playing for local folks. Incredible music, amazing camaraderie, and you can buy whiskey at The Siren show; you don't need to sneak in a flask! Also from Numbskull and Good Medicine at The Siren is Johnny Cash tribute act Cash'd Out on Saturday, Dec. 8 (8 p.m.; 21-and-older; $20 at Boo Boo's and ticketfly.com). Douglas Benson is a terrific Cash stand-in, and the band is spot on covering early Cash hits like "Folsom Prison Blues," "Ring of Fire," and "Cocaine Blues." There are still tickets for Cali-reggae act Through the Roots this Thursday, Dec. 6, at the SLO Brew Rock Event Center (7 p.m.; 18-and-older; $12 at slobrew.com). Breezy, tropical, and socially conscious, Through the Roots delivers irresistible melodies, deep grooves, and thought-provoking lyrics. GET IRIE Cali-reggae act Through the Roots plays on Dec. 6 in the SLO Brew Rock Event Center. 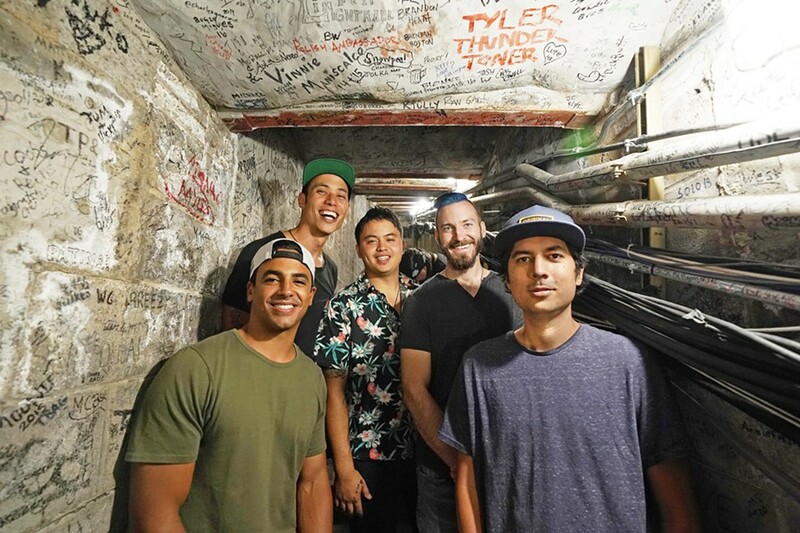 In SLO Brew's downtown location, check out the live funk, hip-hop, and soul music of local ensemble Word Sauce on Saturday, Dec. 8 (10 p.m.; 21-and-older; $5 at ticketweb.com). These guys put on a high-energy show that will have you moving. Photo Courtesy Of The In Time Trio! THREE ON THE NICE LIST The In Time Trio! plays three shows this week: Dec. 7 at SLO's First Presbyterian Church; Dec. 9 at D'Anbino Tasting Room; and Dec. 13 at La Bellasera Hotel/Enoteca Restaurant. SLO's First Presbyterian Church hosts another Brown Bag Concert this Friday, Dec. 7 (noon; all ages; free), in Wilson Hall, with a special Christmas Concert featuring the In Time Trio! Expect new arrangements of holiday favorites. 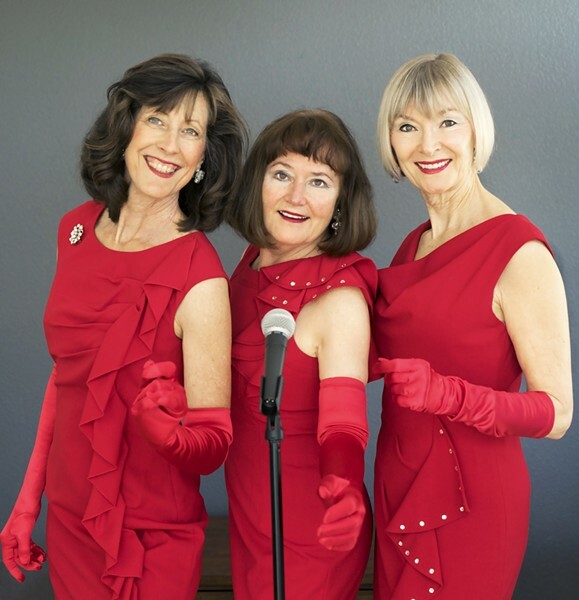 If you can't make this show, Becky Robinson, Kit Johnson, and Judy Philbin will put you in the mood for Christmas on Sunday, Dec. 9, in D'Anbino tasting room (4 to 6 p.m.; 21-and-older; $15, call (805) 227-6800 to reserve your seat), and they'll appear next Thursday, Dec. 13, at La Bellasera Hotel/Enoteca Restaurant (6:30 to 9:30 p.m.). The end of Cal Poly's quarter is fast approaching, which means it's time for some great year-end concerts by talented students led by Cal Poly's amazing faculty. The Cal Poly Fall Jazz Concert is in the Spanos Theatre this Friday, Dec. 7 (8 p.m.; all ages; $14 general $9 student and SLO Jazz Fed members at (805) 756-4849). You'll hear Cal Poly's University Jazz Bands playing in intimate small combo formats as well as big band style with vocalists. 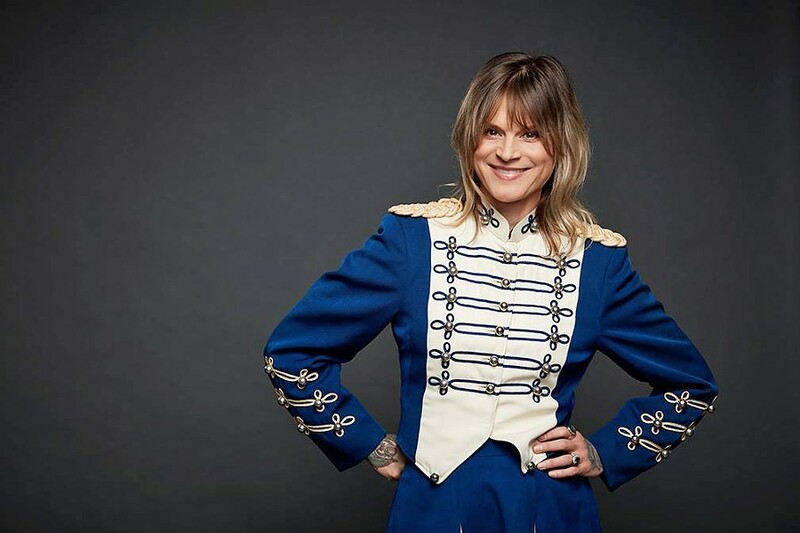 The SLO County Jazz Federation presents Svetlana and the Delancy Five in a special holiday concert at the Unity Concert Hall on Saturday, Dec. 8 (7:30 p.m.; all ages; $25 general, $20 for Jazz Fed members, and $15 for students at Boo Boo's and brownpapertickets.com). The ensemble is a collaboration of New York City veteran jazz musicians and local standouts—Dave Becker (reeds), Bob Bennett (trumpet) and Matthew Evans (bass)—led by vocalist Svetlana Shmulyian. Expect sultry, swinging vocals with the little big band power. CLASSIC ROCK TO AMERICANA Vermont singer-songwriter and multi-instrumentalist Alice Austin plays Dec. 9 at Sweet Springs Saloon in the afternoon and Frog and Peach at night. Vermont singer-songwriter and multi-instrumentalist Alice Austin will bring her eclectic styles—vintage to modern, classic rock to Americana—to Sweet Springs Saloon this Sunday, Dec. 9 (2 to 5 p.m.; 21-and-older), and later that night to Frog and Peach (10 to midnight; 21-and-older). Austin will play guitar and suitcase drums and "Charming" Charlie Peterson will join in on pedal steel, dobro, or mandolin. DANCE! Enjoy some flamenco on Dec. 10, when Seattle-based dancer Savannah Fuentes brings her latest show, Pasajera, to the 4 Cats Café and Gallery, accompanied by two Spanish musicians. Enjoy a fiery and passionate night of flamenco this Monday, Dec. 10, when Seattle-based flamenco dancer Savannah Fuentes brings her latest show, Pasajera, to the 4 Cats Café and Gallery (7:30 p.m.; all ages; $22 general admission, $35 VIP seating, $8 child, or $15 student tickets at brownpapertickets.com). 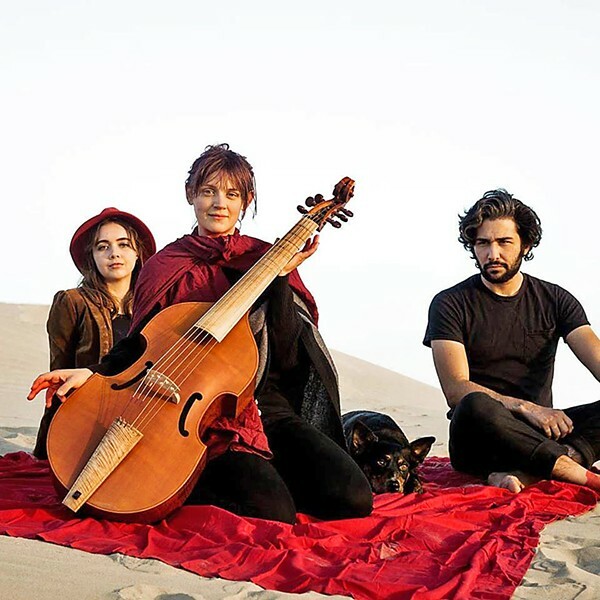 Spanish-Romani guitarist Pedro Cortes and singer/percussionist/dancer Jose Moreno will join Fuentes. Presented by Gary Vecchiarelli Entertainment, check out Roger Lloyd Wood's Big Band during an afternoon concert of the most popular songs from the 1940s, '50s, and '60s in the Clark Center on Sunday, Dec. 9. Expect a cavalcade of holiday hits made famous by Bing Crosby, Nat King Cole, Andy Williams, Frank Sinatra, Rosemary Clooney, and more. Special guest The Satin Dollz will provide tight, Andrew Sisters-style vocal harmonies (5 p.m.; all ages; $49 general, $39 seniors, and $25 student tickets at clarkcener.org or (805) 489-9444). You can hear local community radio station The Rock at 97.3FM in Morro Bay, 107.9FM in Paso Robles, or streaming live on the World Wide Web. Located in Morro Bay, the nonprofit, community-run radio station is in the middle of a fundraising drive, and you can donate on its website, esterobayradio.org. A minimum $1 donation will give you a chance to win a custom Gary Kramer electric guitar! The Rock is the place to go to hear talent like Captain Retro, Bodacious Ya Ya's, James Cushing, Dead Air Dave, Abe Perlstein, Kurt "The Wizard" Waldo, and the indispensible Harry Farmer's Cosmic Weather Report: "To begin with, a very emotionally engaging contact with Mars in sensitive Pisces will be occurring around mid morning, providing an opportunity to assert ourselves in a very empowering, supportive, and confident manner, allowing our actions to be of value to both ourselves and others."